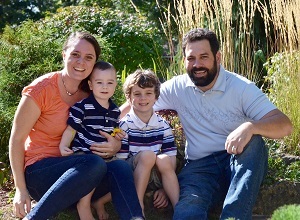 Silver River is a family-owned and operated, fully-insured business run by Elizabeth and Jason Blakely and our dedicated team of professional landscapers and gardeners. 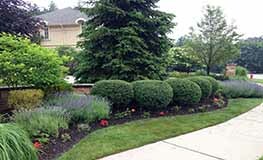 We provide artistic gardening and landscaping services in the towns of Oakville, Burlington and surrounding areas. 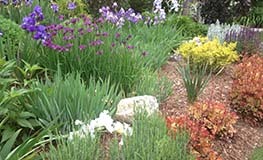 Specializing in Estate properties as well as residential homes, we pride ourselves in offering personalized landscaping services of the highest quality, no matter how large or small the job. In 2019, we are celebrating 17 years proudly serving the Oakville and Burlington communities just west of Toronto, Ontario, Canada! Please browse our site and enjoy. Burlington Post Readers’ Choice 2016! Oakville Beaver Reader’s Selection Diamond Award – 2015, 2014 & 2013! Thank you to all our clients who voted Silver River Landscaping the BEST Landscaping Company in Oakville three years in a row!